For the first time, MahaRaja Eco Dive Lodge is introducing electric dive boats, in Raja Ampat, to allow scuba divers to enjoy eco diving without polluting the ocean. 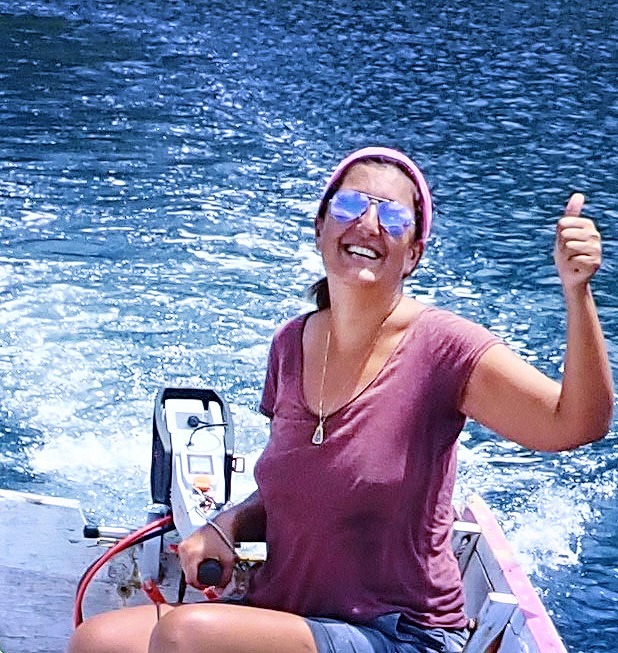 MahaRaja Eco Dive Lodge wants to change the game with Eco-innovation and is introducing electric dive boats, equipped with Torqeedo engines, for diving and snorkeling trips. Mahasti Motazedi, the founder of MahaRaja Eco Dive Lodge, explains "We are nature lovers. Our vision is to provide the best environment with a full Eco-friendly experience to our guests, while preserving Raja Ampat. As professional divers, we would have loved to have this choice while we were looking for our next dive trip but we have never found it. So, we have decided to create it. I am sure there are many other divers who would love to dive without polluting the dive sites and the nature in general. We want to demonstrate that it is possible and we want to spread the word. We hope that this will be the first step for a cleaner and more eco-friendly diving all over Raja Ampat and the rest of the world. " MahaRaja Eco Dive Lodge has two traditional Papuan long boats transformed to dive boats. The first boat, “Puck Tiga”, is a 22m long boat, equipped with a Torqeedo Cruise 4.0 engine and has an autonomy up to 2 hours and 20 kms, with one set of battery. The boat has a capacity up to 12 people. The second boat, “Puck Ampat”, is an 8m long boat, equipped with a Torqeedo Travel 1003 and has an autonomy up to 1 hours and 10 km, with one set of battery. The boat has a capacity up to 6 people. “Our partnership with Torqeedo was key for our success. Torqeedo provided us with the right support to implement and test Torqeedo Cruise 4.0 and Torqeedo Travel 1003. Our long boats are now equipped with Torqeedo engines and our local Papuan staff is trained for the operations. They love it. 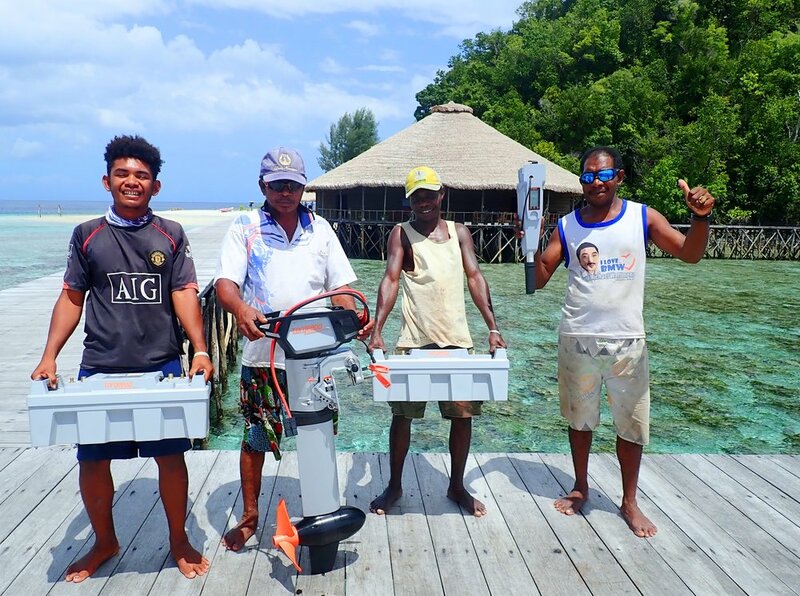 The next step is even to share the electric engines with the local Papuan villages to allow them to travel in a better and cleaner way for them and for the environment." Launched in March 2018, MahaRaja is the newest kid on the block in Raja Ampat, with the vision of pioneering a new era of Eco-tourism. It offers an exclusive tropical holiday experience to their guests, all with appreciation, respect and care for the ocean, nature, people and life. MahaRaja Eco Dive Lodge has been created by a group of friends, passionate about the ocean, nature, traveling and people. After falling in love with Raja Ampat, they changed their lives to create a place where they could share their passion with their guests and immerse them in a full Eco-lifestyle, in a paradise private island. Torqeedo is the market leader for electric mobility on the water. Founded in 2005 in Starnberg Germany, the company develops and manufactures electric and hybrid drives from 0.5 to 100 kW for commercial applications and recreational use. Torqeedo products are characterized by an uncompromising high-tech focus, maximum efficiency and complete system integration. Torqeedo is part of the DEUTZ Group, one of the world's leading independent suppliers of diesel and natural gas engines.